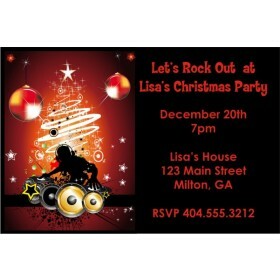 Celebrate the Holidays in style with the Gingerbread DJ Christmas Party invitation from Personalized Party Invites. 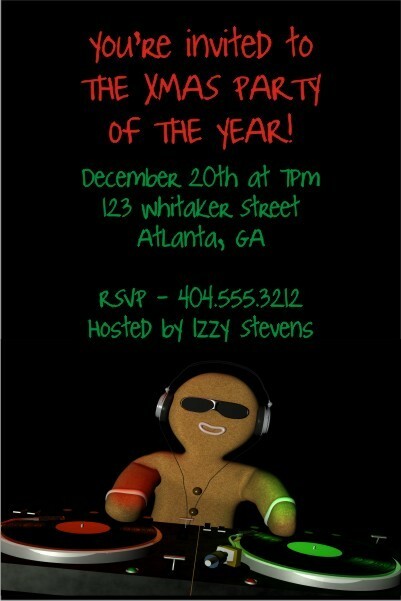 The lettering style and gingerbread man spinning beats give this xmas party invitation an urban, hip-hop feel. This invite is also great for a New Year's Eve party. 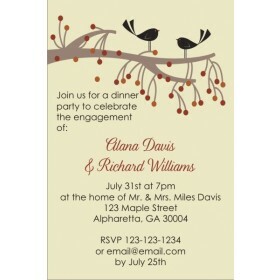 You can customize this invitation template with the wording of your choice.